Yale Cyber Leadership participants are invited to attend these special events. Please let us know if you are planning to do so. Today’s Internet is far more than a system for sending mail or compiling information. Cyberspace is the backbone of our global commerce, communication and defense systems, and the critical infrastructure that powers our modern civilization. Yet despite the immense benefits that have resulted from this global connectivity, significant vulnerabilities persist and threats are on the rise, especially from the standpoint of American national security interests. In the last decade alone, cybersecurity has moved rapidly to the forefront of international relations, posing multiple challenges to U.S. grand strategy: Russian cyberattacks on critical infrastructure in the United States and Ukraine; North Korea’s cyberattack against Sony Pictures and sponsorship of global cybercrime; cyberweapons like Stuxnet, which attacked the Iranian nuclear enrichment program at Natanz; scandals associated with WikiLeaks and Edward Snowden’s disclosures about the National Security Agency; and tensions in U.S.-China relations resulting from cyberespionage and theft of intellectual property. Yet the future of cyberspace likely will prove even more transformative due to advances in artificial intelligence (AI). Algorithms used for cyber-operations will become increasingly capable of processing massive amounts of data, identifying and disguising subtle behavioral signatures, responding and adapting at scale, and discovering novel exploits. Artificial intelligence poses tremendous opportunities for economic growth and societal well-being, yet the potential threats also are extraordinary: autonomous weaponry, AI-augmented cyberwarfare, and strategic instability as nations race to deploy these unpredictable technologies. The seventh annual Johnson Center conference will bring together a mix of academics, practitioners, and students, who will analyze the threats and opportunities associated with cyberwarfare and artificial intelligence. 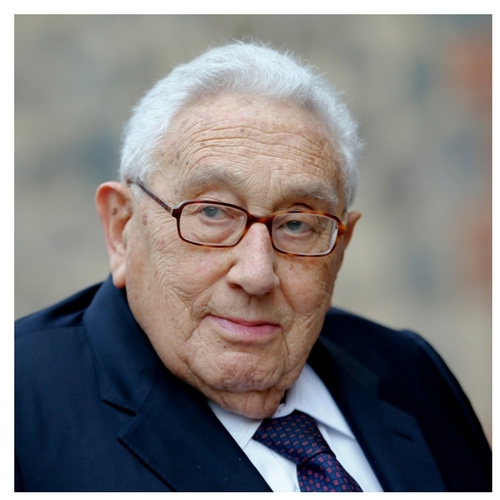 Particular attention will be paid to whether there exist any historical parallels and lessons learned from nuclear weapons, as this past summer marked the 60th anniversary of Nuclear Weapons and Foreign Policy, Dr. Kissinger’s seminal work that examined the relationship between technology and strategy in the nuclear age. How do we understand the current cybersecurity technical threat landscape, and what are the implications for U.S. national security? Can there be deterrence and mutually assured destruction in cyberspace, or do these Cold War concepts not transfer to the current environment? Are arms control and verification agreements possible with respect to cyberweapons or future threats from artificial intelligence? Can we establish international laws and norms to discourage the proliferation and use of the most destructive cyber technologies? How can policymakers devise effective strategies for artificial intelligence concerns that have not yet materialized or that we have not yet even envisioned? Eric Schmidt served as the Executive Chairman of Alphabet’s board of directors from 2015 to early 2018. He has served as the Executive Chairman of Google’s board of directors since April 2011 and as a member of Google’s board of directors since March 2001. From July 2001 to April 2011, Eric served as Google’s Chief Executive Officer. He was the chairman of Google’s board of directors from March 2001 to April 2004, and again from April 2007 to April 2011. Prior to joining Google, from April 1997 to November 2001, Eric served as chairman of the board of directors of Novell, Inc., a computer networking company, and, from April 1997 to July 2001, as the Chief Executive Officer of Novell. Eric was previously a director of Apple Inc., a designer, manufacturer, and marketer of personal computers and related products, from 2006 to 2009. Eric holds a Doctoral degree and a Master of Science degree in computer science from the University of California, Berkeley, and a Bachelor of Science degree in electrical engineering from Princeton University. Ashton B. Carter served as the 25th Secretary of Defense. Secretary Carter has spent more than three decades leveraging his knowledge of science and technology, global strategy and policy as well as his deep dedication to the men and women of the Department of Defense to make our nation and the world a safer place. He has done so in direct and indirect service of eleven secretaries of defense in both Democratic and Republican Administrations. Whether in government, academia, or the private sector, Secretary Carter has been guided by pragmatism and his belief in the boundless opportunities of the United States and has worked tirelessly to contribute to the ideas, policies, and innovations that assure our global leadership. Secretary Carter was Deputy Secretary of Defense from 2011 to 2013, serving as DoD’s chief operating officer, overseeing the department’s annual budget and its over three million civilian and military personnel, steering strategy and budget through the turmoil of sequester and ensuring the future of the force and institutional best practices. From 2009 to 2011, he was Under Secretary of Defense for Acquisition, Technology and Logistics (ATL) with responsibility for DoD’s procurement reform and innovation agenda and successful completion of key procurements like the KC-46 tanker. In this capacity, Secretary Carter also led the development and production of thousands of mine-resistant ambush protected (MRAP) vehicles and other rapid acquisitions that saved countless service members’ lives. 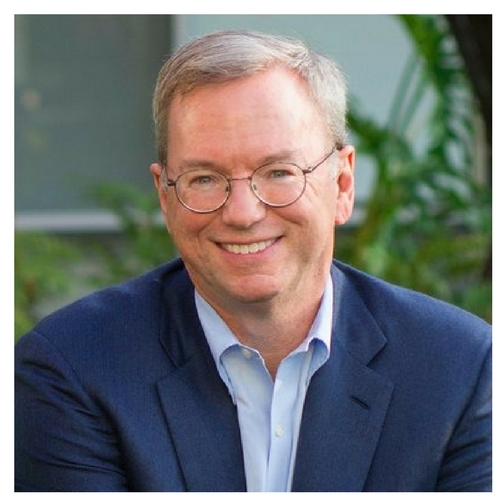 Eric Schmidt, former Chairman of Alphabet, Inc. and CEO of Google, Inc.